Falconwood young people working together to saya big ‘thank you’ to our emergency services. 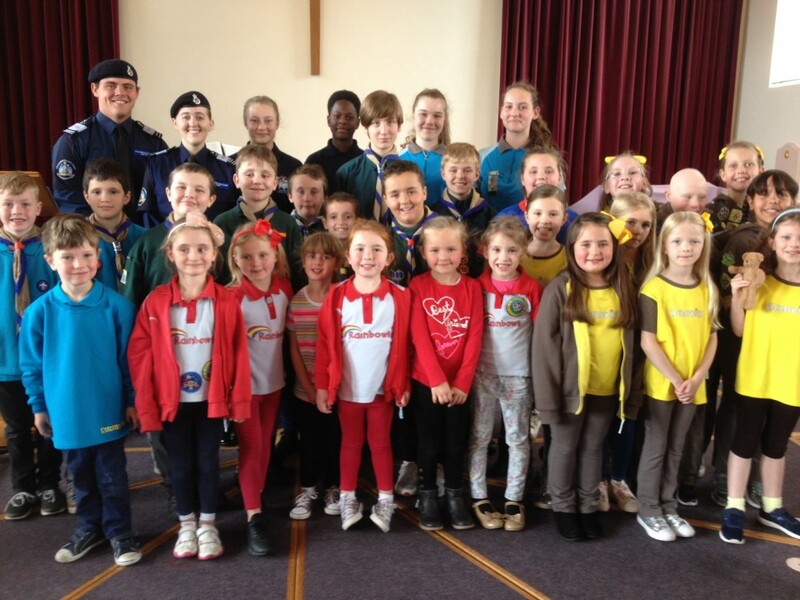 Children from Bishop Ridley Church, Bishop Ridley CofE Primary School, and the local Guiding and Scouting groups in Falconwood, have joined together to launch the ‘Ridley Bear 999 Appeal’. Fundraising events have been taking place since September and have already included a fitness class, a sleepover in the Church, cake sales, a cinema evening, a very successful Quiz Night and a non-uniform day at the School. Enthusiasm is running high and future events include more aerobics, another non-uniform day, a big band concert, a virtual sponsored cycle from Lands End to John O’Groats and an evening with actor & entertainer Samuel Haughton. As well as these activities, over 200 Ridley Bear Mascots have so far been sold, wearing specially knitted emergency service uniforms representing either Fire, Ambulance or Police services (see photo). Supporters have been posting photos on social media of their Ridley Bears in various locations both locally and around London and also from as far as Australia, the Phillippines and Barbados. Bears have also been spotted with local paramedics and police officers. Speakers from the emergency services are also visiting the children’s groups to teach them more about their work. And, to thank everyone for their fundraising, a ‘Ridley Bear Car Pool Karaoke’ film was recently produced starring group leaders, teachers and even the local vicar which was hugely enjoyed by the children. The Appeal will run until the summer and the initial target is to raise £4,000 - the children are already over halfway there. All proceeds will support the London Ambulance Service Benevolent Fund, the Fire Fighters Charity and the Metropolitan & City Police Orphans Fund. “We appreciate the excellent work and commitment you have shown and continue to show to this cause. It is very humbling to know that our families are in others’ thoughts and I know it is very much valued.” Malcolm Cooper, Deputy Chief Executive Officer, Metropolitan & City Police Orphans Fund. You can follow the Appeal’s progress (and the adventures of Ridley Bear) on the ‘Ridley Bear Appeal’ Facebook page.